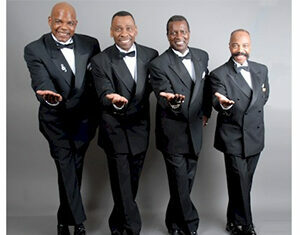 The Drifters are scheduled to perform at Harrah's Ak-Chin. Here’s a glimpse at some of the goings-on in Maricopa Sept. 6-12. It’s Labor Day! Expect government offices, banking institutions and many service industries to be closed. Maricopa High School Volleyball varsity team hosts Catalina Magnet at 6 p.m. in the MHS gym. Maricopa Lions Club meets at 7 p.m. at Sequoia Pathway Academy library, 19265 N. Porter Road. The growing service club meets the second Tuesday and fourth Wednesday of each month. Creative Sisterhood Meeting is from 9 a.m. to noon at Copa Center, 44585 W. Honeycutt Road for Maricopa residents 55 or older who enjoy arts and crafts. Maricopa High School Girls’ Golf team hosts Poston Butte at 3 p.m. at The Duke at Rancho El Dorado, 42660 W Rancho El Dorado Parkway. Weekly Chamber Golf Social has a shotgun start at 4 p.m. at The Duke at Rancho El Dorado, 42660 W Rancho El Dorado Parkway. Pre-registration of $15 per player includes nine holes of golf, golf cart and two beverage tickets. Advanced Dance Class in Hip Hop starts at 7:45 p.m. at Desert Sun Performing Arts, 19756 N. John Wayne Parkway. Advanced Dance Class in Lyrical starts at 8 p.m. at Desert Sun Performing Arts, 19756 N. John Wayne Parkway. Patriot Day Flag-Raising is planned for 8 a.m. at Maricopa Veterans Center, 44240 W. Maricopa-Casa Grande Highway to commemorate the attacks of 9/11. 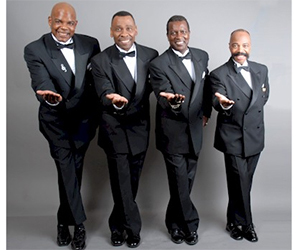 The Drifters, one of the biggest selling bands of all time, perform at 8 p.m. in The Lounge at Harrah’s Ak-Chin, 15406 N. Maricopa Road. For more information about these events and others, or to post your own, go to InMaricopa.com/Calendar.